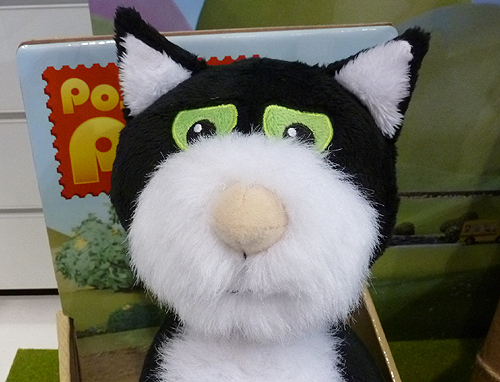 Stroke and Purr Jess is a plush interactive version of Postman Pat’s famous cat Jess. First released in Spring 2014 to coincide with Pat’s new movie, Stroke and Purr Jess features Character’s new ‘senso touch’ technology that makes Jess the Cat purr happily when stroked. 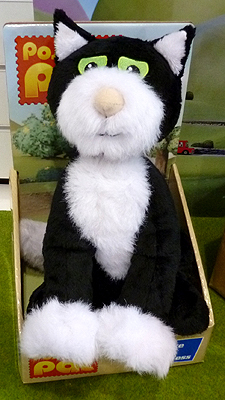 Packed with state-of-the-art interactive electronics, this plush Jess the Cat is nonetheless extremely soft to the touch.